Georges said he and Cardenas manuevered the helicopter to get a better look at the lights through Air10's Power Zoom camera. Not long after their sighting, several callers phoned the News10 newsroom to report seeing the same phenomenon. When contacted, Federal Aviation Adminstration and Sacramento International Airport spokespeople said they hadn't heard anything about the object and had no idea what the craft could be. A Travis Air Force Base representative said the base had no aircrafts that could be confused with a UFO. So what is it? Take a look at the video and weigh in with your own verdict. 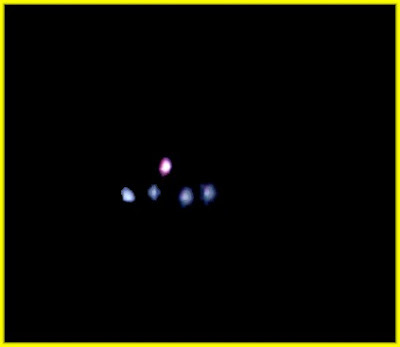 UFO Over Sacramento: "Many Calls of a Possible Aircraft Down"